Hiking through Borrego Palm Canyon Trail we were on the lookout for big horn sheep. 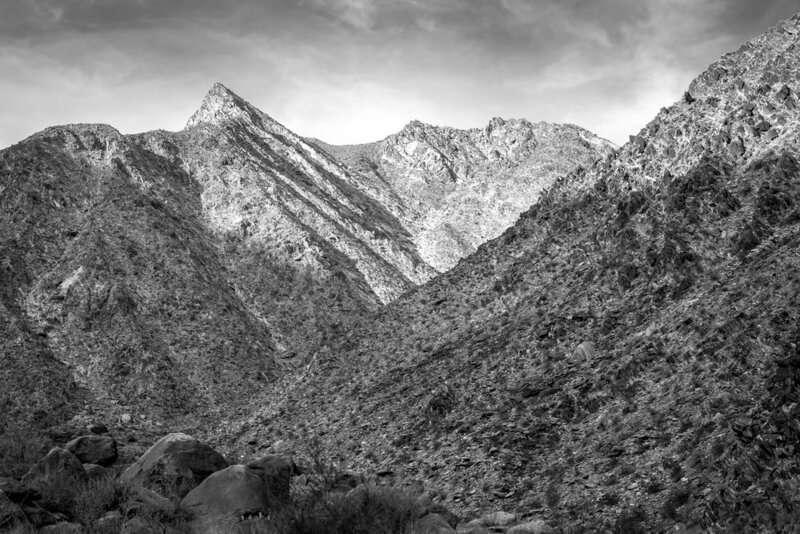 Anza-Borrego Desert State Park is the largest state park in California, and second largest in the US behind New York's Adirondack State Park. The area is a beautifully diverse desert landscape with some of the best star gazing in the country. On this hike we were told by a park ranger that the past few evenings had big horn sheep sightings; however we didn't spot any along the rocky mountain faces.